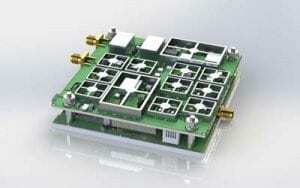 Why doesn’t my embedded ceramic GPS patch antenna work? Data communications systems for small form-factor platforms and applications – for instance, unmanned vehicles, unattended sensor systems, etc. – oftentimes require GPS signals for either position or timing information. There are several GPS receiver chips on the market that offer an integral patch antenna for ease of integration. In other words, they do not require external antennas to receive GPS signals. There is a natural drawback to employing a GPS device with an integral patch antenna, which is that they are designed for a specified ground plane. Therefore, adjacent metal (and different ground plane sizes/placement) may cause antenna resonant frequency shifts. Those shifts may result in the antenna to be nonfunctional, and thus the sensitive GPS signals to be lost. So what can I do in this case? Obviously one option is to try a different antenna. Such an approach can include time consuming trial and error, which is unlikely to find the antenna to match the existing grounding and placement of the device. Another option is to create an impedance matching network between the antenna and the GPS receiver/LNA. This option may not be feasible if the board is already built or if space is limited in your application. Yet another option is to attempt to modify or tune the antenna. The major upside of this option is that a solution could be available in very short order. To do so, one may use a handheld rotary grinder to cut small slots into the top plate electrode in order to modify the impedance match of the patch antenna. While this is still considered to be trial and error, once a method is developed small batches can be tuned quickly on the bench. Technicians should target a return loss of <-10 dB at desired GPS frequencies. 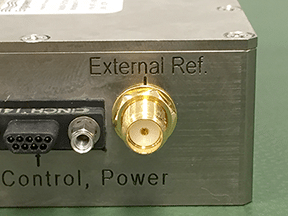 Figure 1: A COTS 1.575 GHz GPS patch antenna, which when mounted in the system shifted the resonant frequency to above 1.6 GHz, resulting in unusable performance. Two cut slots shifted the resonant frequency to 1.575 GHz with less than -12 dB in return loss and good over-the-air performance. Like most alternate approaches, there are some inherent caveats to consider. Just one such example is that large changes to the patch antenna can cause radiation performance to degrade for the GPS receiver device. 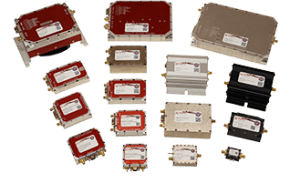 NuWaves’ engineering services group is capable of implementing a variety of GPS solutions, including customized receivers, filters, low noise amplifiers, etc. For more information, contact engineering.design@nuwaves.com. PrevPreviousShould you upgrade your Enterprise Resource Planning System?